PLAINFIELD, IND. - Duke Energy Indiana customers in need will receive significantly more funds over the next five years to help with energy bills. The company is contributing $700,000 annually over the next five years for low-income energy assistance as part of Duke Energy's Edwardsport plant regulatory settlement. In addition, Duke Energy Indiana customers and employees have contributed an additional $100,000 in assistance, raising this year's total to $800,000. "There's always a demand for energy assistance, but it's especially needed as our economy recovers," said Doug Esamann, president of Duke Energy Indiana. "Over the past decade, our Helping Hand program has provided more than $4 million in assistance to customers in need. This year's funding triples the amount each customer can receive."
Previously, customers were only eligible for up to $100. In addition, for at least the next five years, the company is expanding the program to include any Duke Energy Indiana customer who qualifies based on income guidelines. Previously, only low-income customers at least 60 years old or disabled were eligible. Duke Energy Indiana partners with the Indiana Community Action Association and the Indiana Housing & Community Development Authority's Energy Assistance Program, which distributes the company's assistance funds. If funds are still available by summer, they can also be used for summer cooling bills. Budget Billing – This program enables customers to avoid bill spikes by providing predictable monthly payments. Adjusted Due Date – Customers may be able to adjust the due date of their utility bill to a monthly date that meets the timing of their income. This is a popular program with seniors on Social Security. Indiana Home Weatherization – Income-qualified Duke Energy Indiana customers can receive free home weatherization measures through Energizing Indiana, a united effort of the state's major utilities, including Duke Energy. 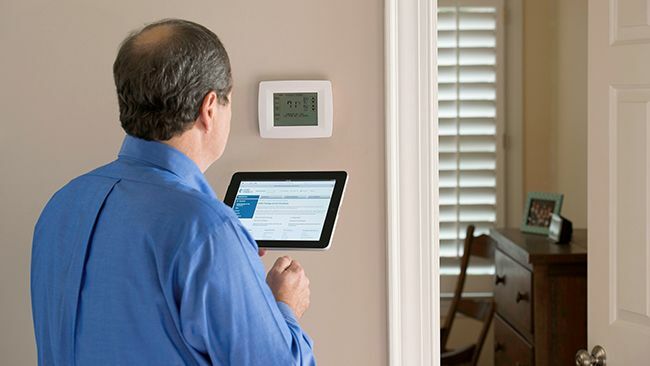 Professional energy advisors will install multiple energy saving measures during their home visits. For a free home evaluation, contact Energizing Indiana at 1-888-446-7750. Extended Payment Agreement – Duke Energy can help a customer by establishing an extended payment agreement if the customer qualifies. Customers must first contact the company to see if they are eligible for this free service. Life Support Program – Duke Energy Indiana offers a Life Support Program for customers who use electrically powered life support equipment. Third-Party Notification – This program sends a copy of a monthly bill to a friend or relative without holding them responsible for the payment. Paperless Billing accounts are not eligible. For more information about Duke Energy's programs in Indiana, log on to: http://www.duke-energy.com/indiana.asp.